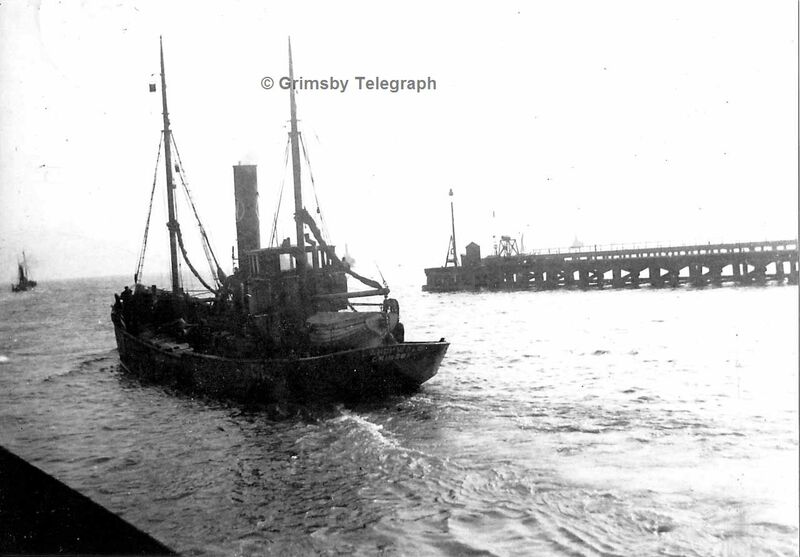 29.4.1896: Launched by Cochrane & Cooper, Beverley (Yd.No.157) for Northwold Steam Fishing Co Ltd (64/64), Grimsby as LARCHWOLD. 9.6.1896: Registered at Grimsby (GY68). 9.6.1896: Thomas Sowerby, Cleethorpes appointed manager. Pre 1911 – 1913: Fishing from Fleetwood. 1.1.1914: Tonnage altered to 53.44net under provision of Merchant Shipping Act 1907. 18.3.1917 – 17.12.1917: Fishing from Milford Haven (Brand & Co, local managers/agents). 14.12.1921: Vessel mortgaged (64/64) to the National Provincial & Union Bank of England Ltd, London (A). 11.1924: Sold for breaking up. 28.11.1924: Grimsby registry closed “Registry closed … except so far as relates to mortgage (A). “Vessel broken up”. 04/02/2019: Removed FMHT watermark from image. This entry was posted in Steam Trawlers, Steamers (Picture) and tagged No Fleetwood owners on May 29, 2014 by Fred Smith.